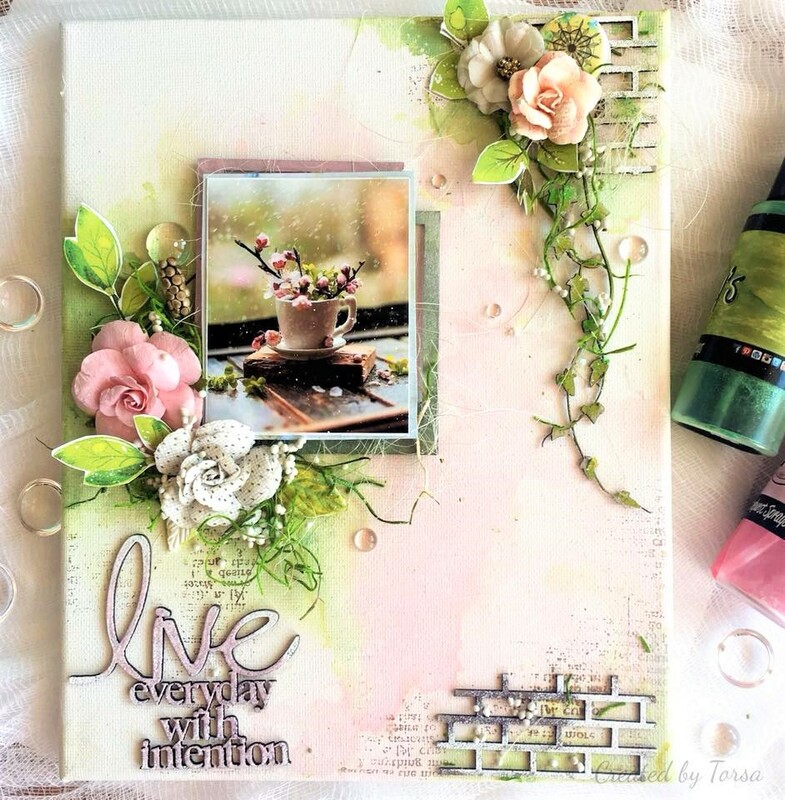 Today I am here to present the my DT inspiration for More Than Words January Main Challenge !! This month we have “Goals” and “Journaling ” !! 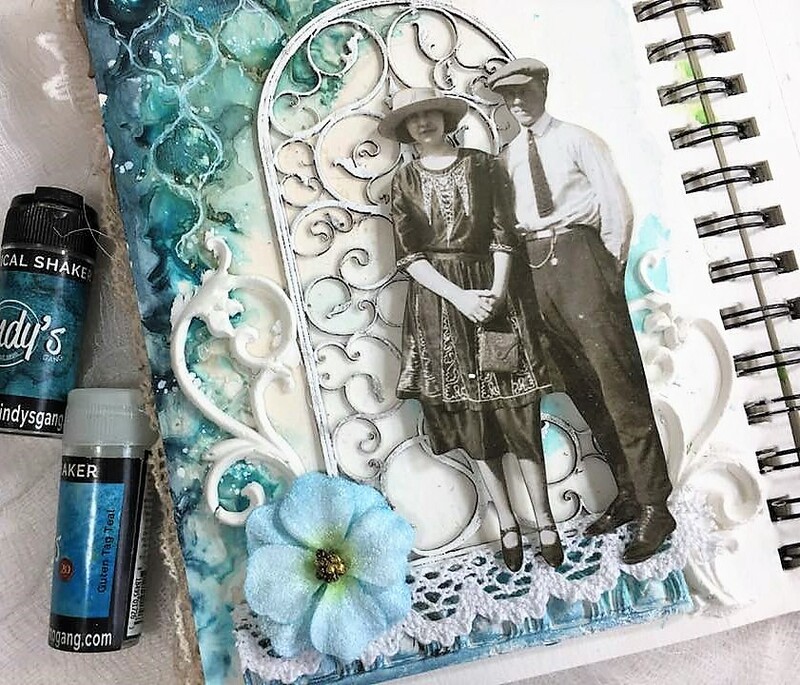 I am a big fan of art journaling – that is where I started my journey in mixed media. But in the last couple years, I was so busy with my other commitments that I almost forgot the fun of creating for myself. 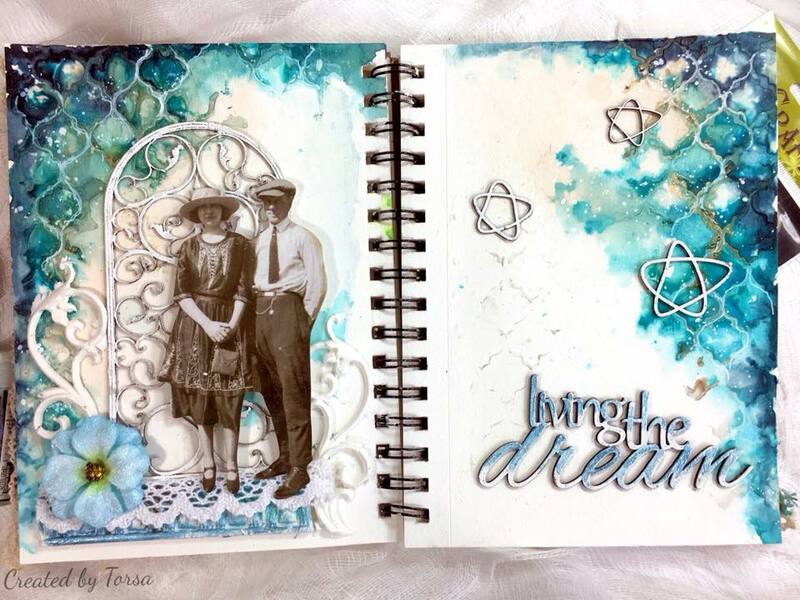 This year my creative GOAL is to create more art journals. I have added JOURNALING quotes in my creation which I feel are very appropriate for me at the moment. 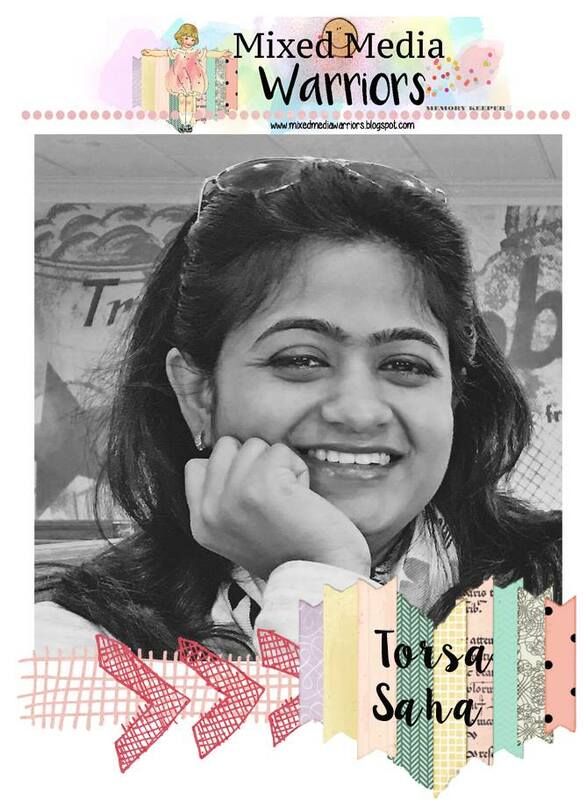 For more amazing inspiration from our design team member , please visit More Than Words main blog. That’s all for now!! See you soon !! Today I am here to present my inspiration for More Than Words Main Challenge . 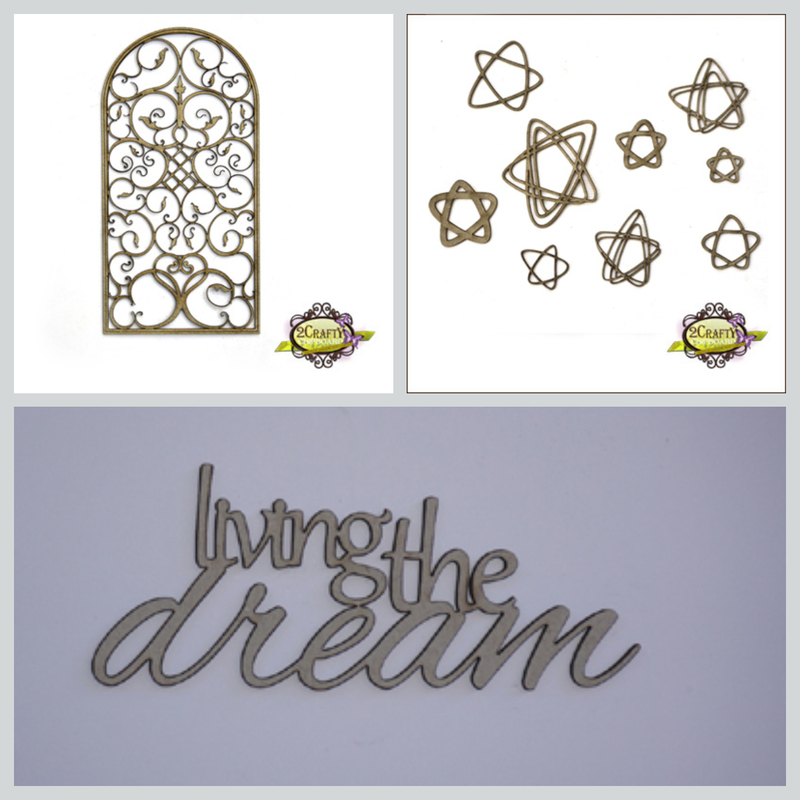 This month we have really inspiring challenge, our subject is “Believe” and creative challenge is Stamping . This time I have created a journal page about self belief . I BELIEVE in myself . Sometimes our happy world starts to fall apart and we can do nothing but watching it . It’s suffocating and painful . At that moment self belief is most important thing . I have depicted that through my creation!! My main focal point is a face STAMP beside that I have used stamps at background!! 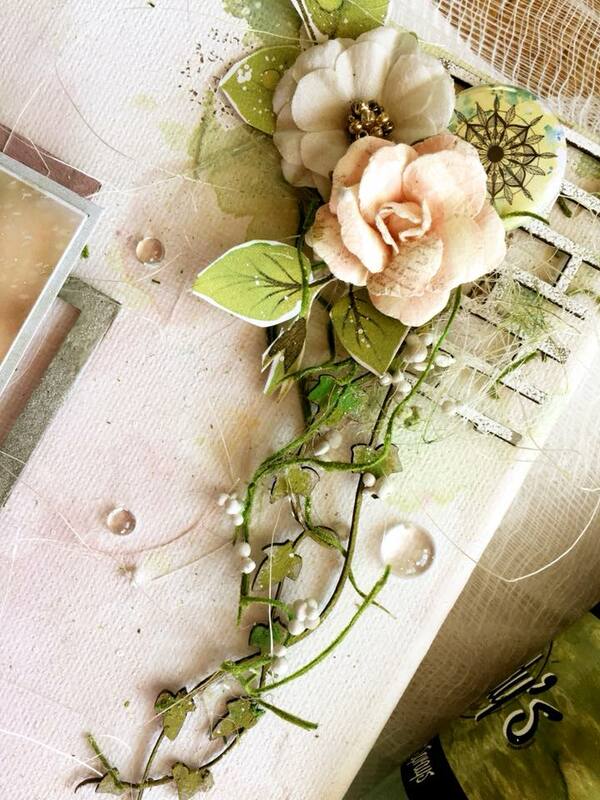 For more amazing inspiration from our design team please visit the More Than Words main blog !! 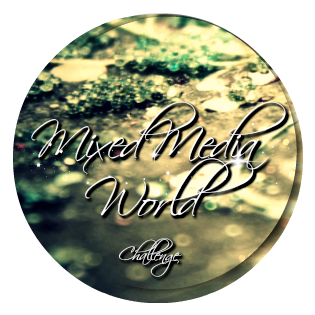 It’s time for mini challenge at More Than Words Challenge !! This month our word is SHINE !! I have created a tag !! For more amazing inspiration from our design team please visit More Than Words Blog !! That’s all for today !! 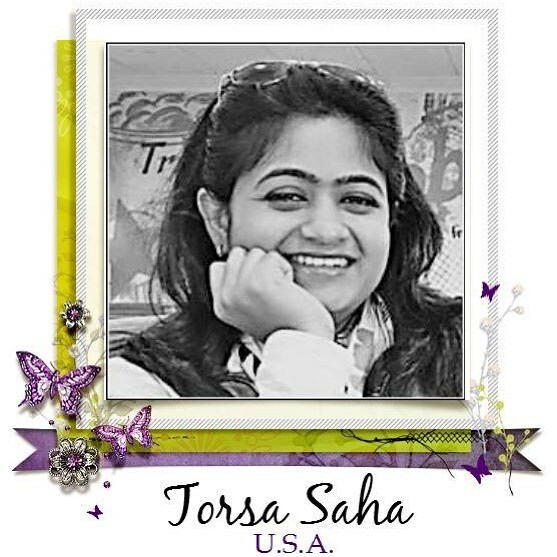 Today I am here to present my inspiration for More Than Words Main Challenge . This month we have really inspiring challenge, our subject is “Future” And ” Star” . This month is my 12th marriage anniversary and we are together from our high school time .I can see Future only with my husband , in every ups and downs of my life I want him beside me . We want to grow old together like this old couple in the photograph. 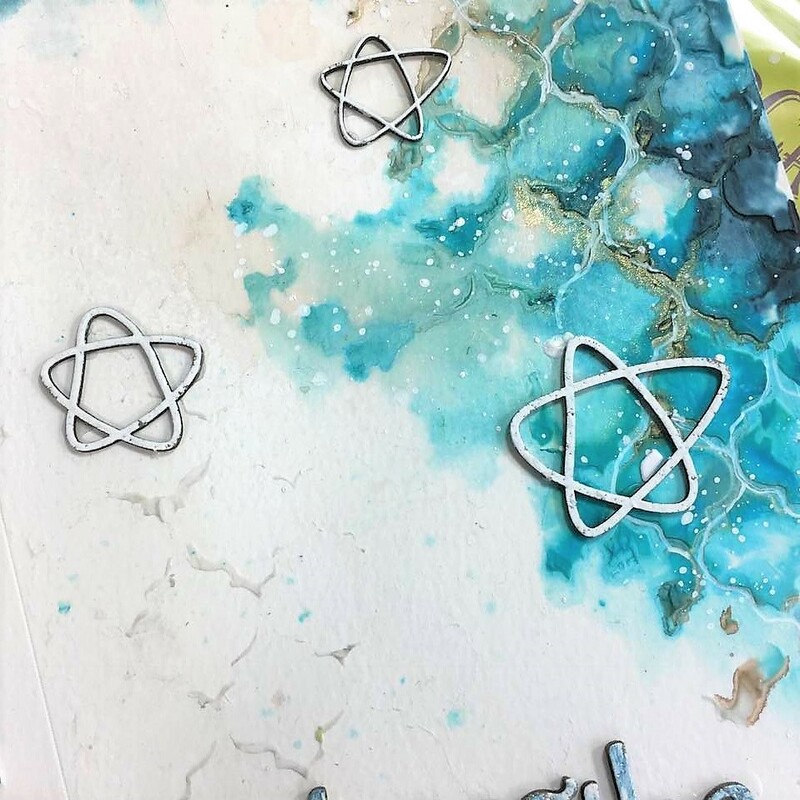 For creative challenge, I used metallic STARS. For more amazing inspiration from our Design Team please visit More Than Words main blog . 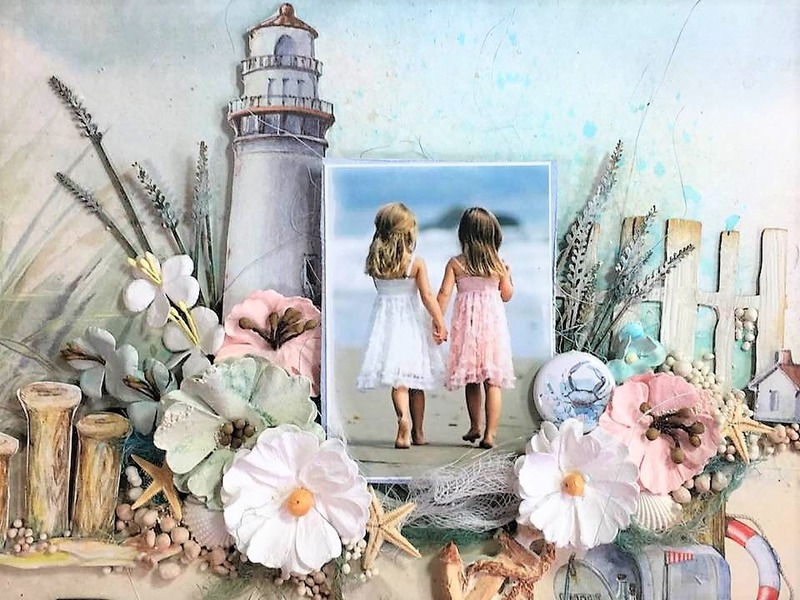 Today I am here to present my DT inspiration created for More Than Words Mini Challenge. This month our word is “PLAY”. I have created ATCs for the mini challenge. 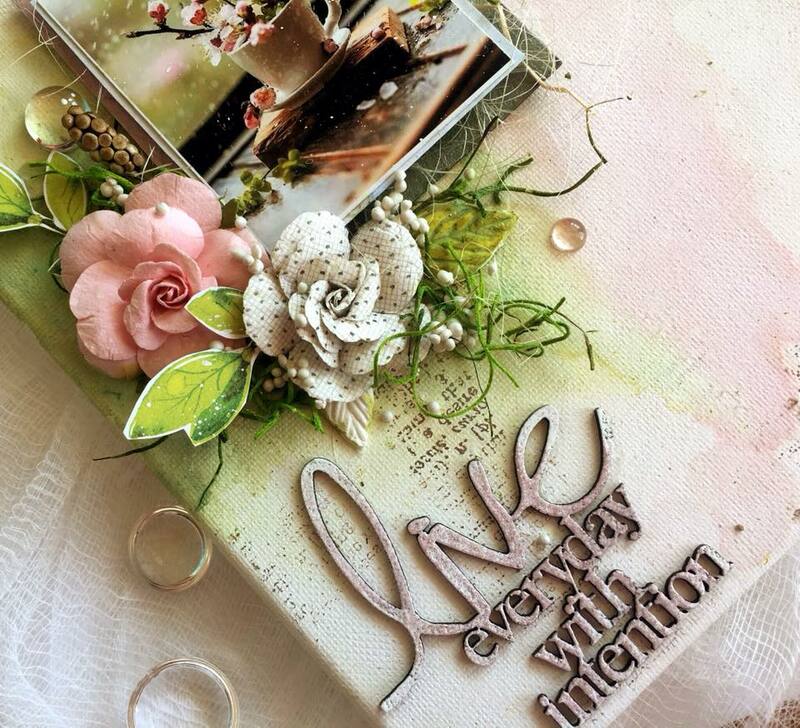 Please visit More Than Words blog for more amazing inspiration from our DT members. That’s it for today. See you soon . 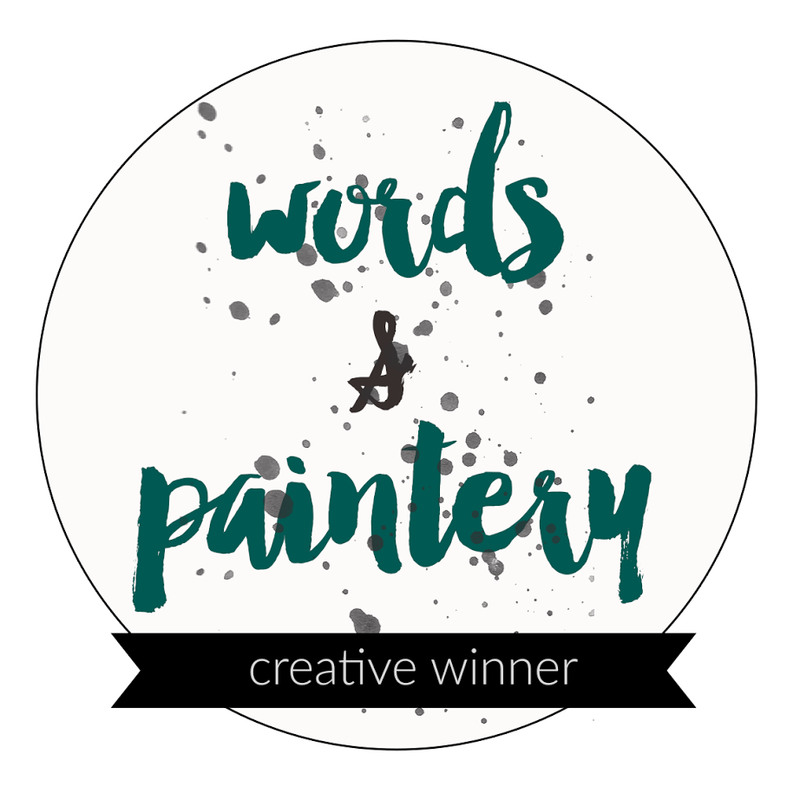 Today I am here to present my created for More Than Word August Main Challenge !! This month we have very beautiful challenge !! It’s about “LEISURE” and “SPLATS” !! To me LEISURE means a cup of coffee and my favorite book . Yes I am a bookworm!! If I get some more time , I love to do fussy cut for my upcoming projects . Here I have used a picture of coffee and book . Beside that I have used lots of fussy cut elements in my project. I used few black , pink and white SPLATS too . 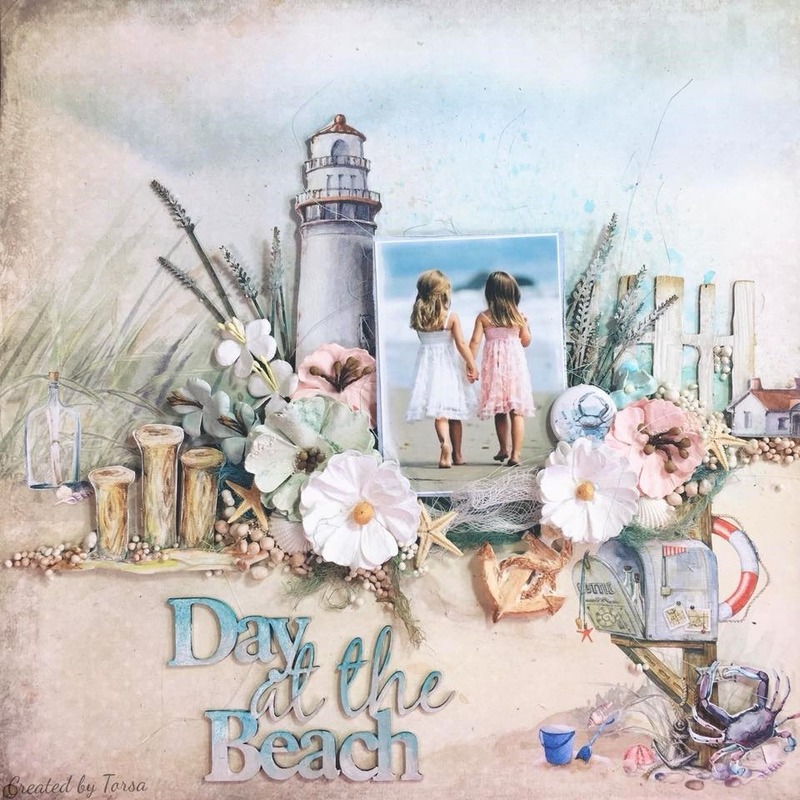 For this layout I have used “Dear Diary ” collection from Mintay papers , 2 Crafty Chipboards Titles and Cuts2luv badge. This is for now , for more awesome inspiration please visit More Than Words main Blog . 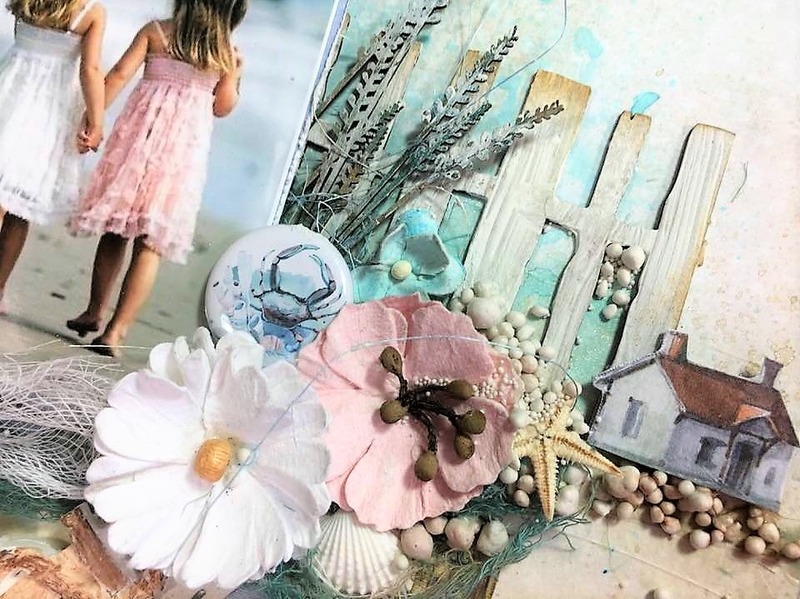 Today I am here at 2 Crafty Chipboard blog to present my DT inspiration for this month. 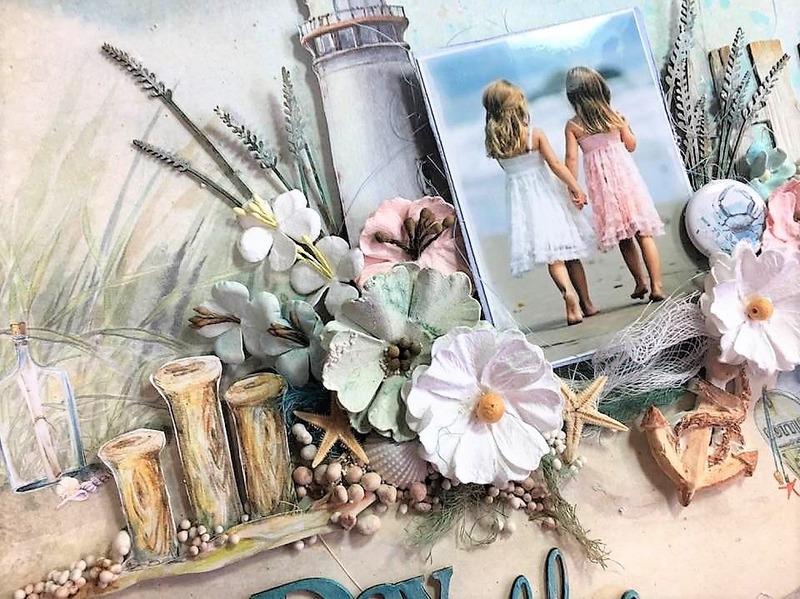 This time I have created a journal page with gorgeous chipboards from 2 Crafty Chipboards. ” for that. Firstly I applied a thin layer gesso on the “Ornate Screen” then heat embossed the chipboard with white embossing powder. I heat embossed the stars also. 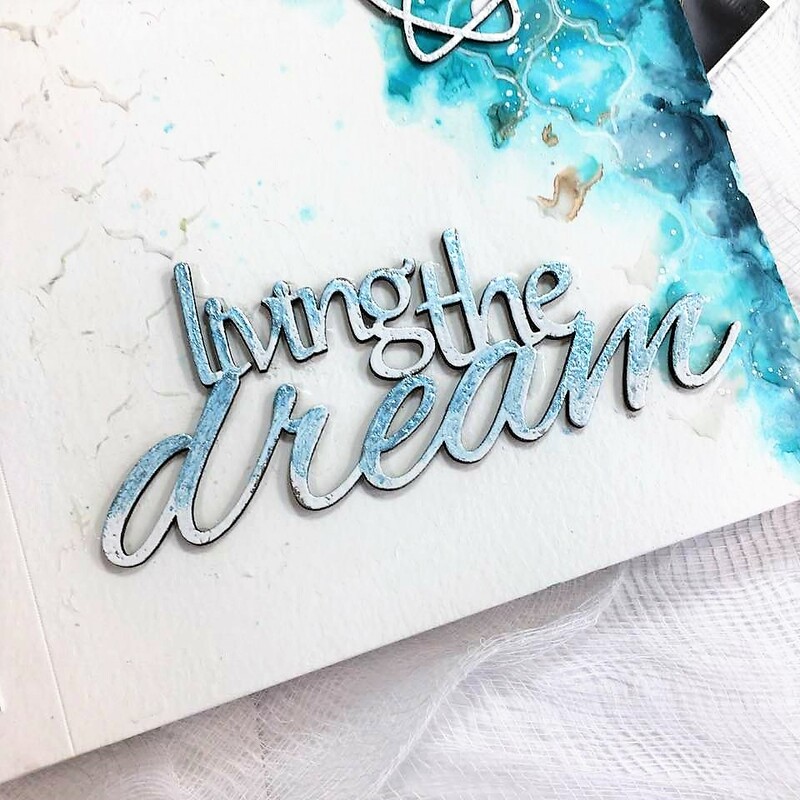 I have created ombre effect with by heat embossing the title ” Living The Dream ” . Firstly I embossed the title with white embossing powder . Then again heat embossed with darker shade ( sky blue here ) . That’t all for today , see you soon !! This is time for mini challenge at More Than Words Challenge. This month our word is “Bright”. I have created a tag for mini challenge. For more amazing inspiration from our amazing design team please visit More Than Words blog . Today I am here at 49 and Market blog with my recent creation . Though autumn is at the door and summer is saying good bye still tried to capture amazing flavor of beach through my layout. 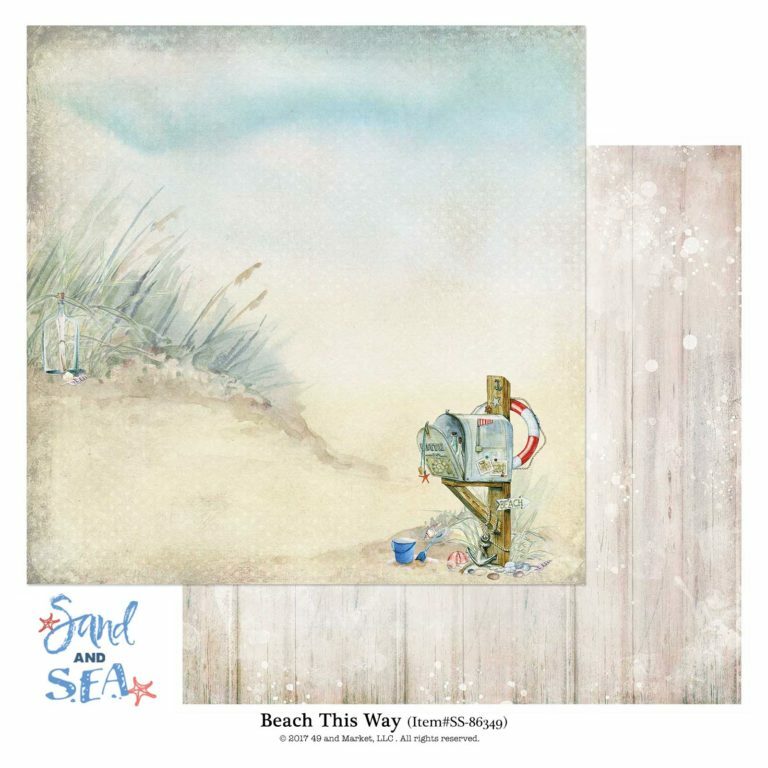 I have used ‘Sand and Sea: Beach This Way’ paper as a base of my layout from my all time favorite “Sand and Sea” collection . I fussy cut the light house from ‘Sand and Sea: The Lookout’ paper , and layered under the photograph and did a lot fussy cut from Die-cut sheet. I placed the logs with 3-D foam to get some extra dimension . 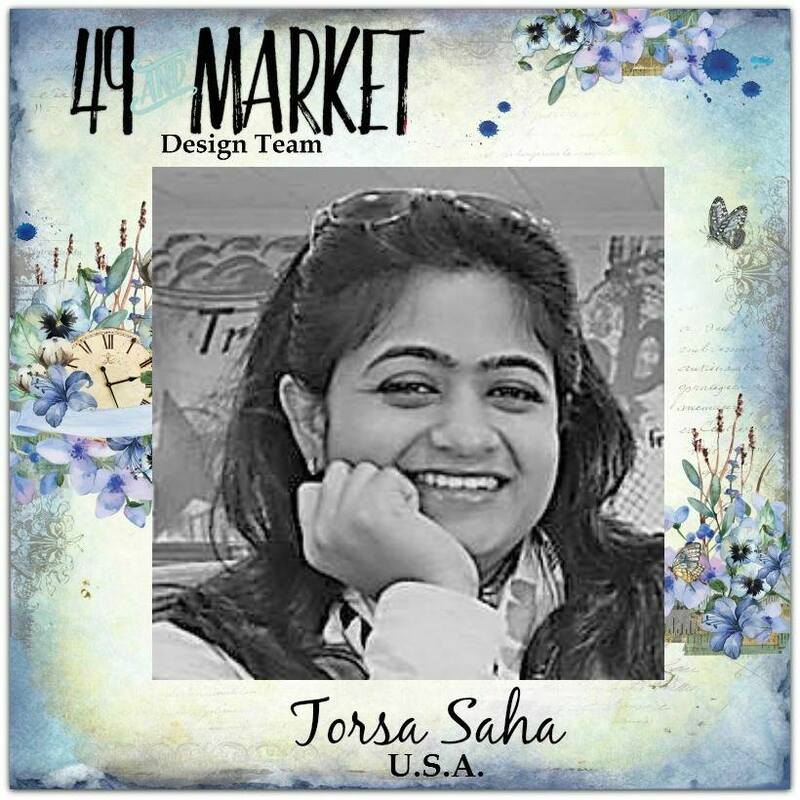 Then layered with various beautiful flowers from huge range of 49 and market flowers ( All details are added in below product list). 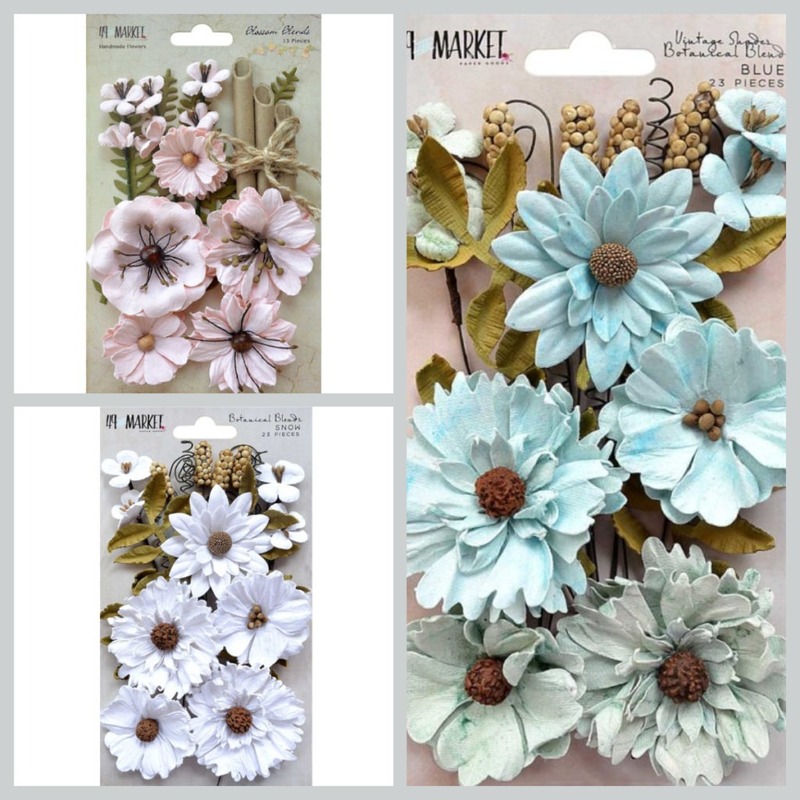 I have use amazing 2 Crafty Chipboards in my layout . I added chipboard fence and weeds to complete the scene. 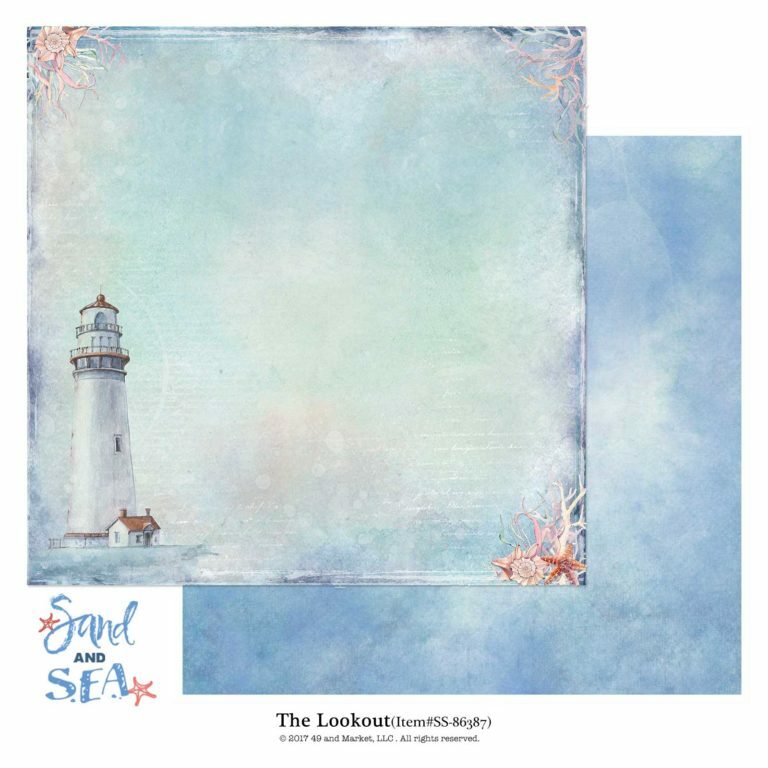 Lastly added beautiful title from 2 Crafty. Last but not least my favorite Cuts2luv badge . Below is the 49 and market product list I have used . That’s all for today , see you soon 🙂 !! 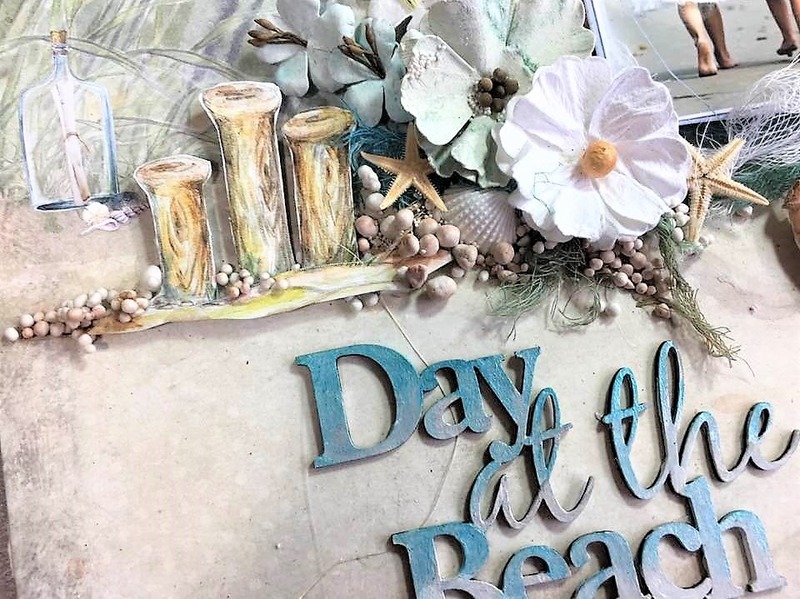 Today I am here to present my recent creation I created for 2 Crafty Chipboard . This time I have created a soft pastel shade canvas by using various beautiful chippies from 2 Crafty . Here under the photo I stacked two Polaroid Frames from “Polaroid Assortment Frames ” , I did emboss both of the frames with Lindy’s Embossing powder . 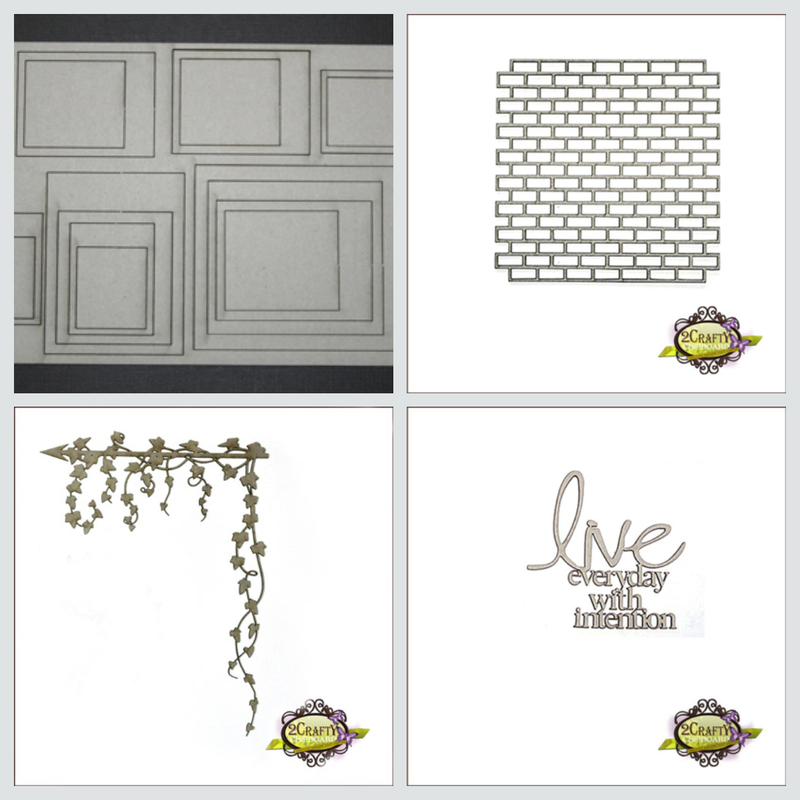 I cut the “Brick Panel ” into pieces and embossed it Lindy’s Embossing powder . For “Ivy Corner ” I cut it from the corner , and colored it with Prima Watercolor Pastel !! I did heat embossing the title with very soft pink shade ( First I applied gesso , then used pale pink shade from Lindy’s Embossing Powder to achieve the softness ! !